Taylor and David from FYI’s “Arranged.” Photo by Karolina Wojtasik. Copyright 2016. It is all arranged. The second season of FYI’s Arranged TV series premieres Tuesday, May 10, 2016 at 9:00pm ET/PT. The docu-series follows otherwise modern American singles who share the tradition of arranged marriage. 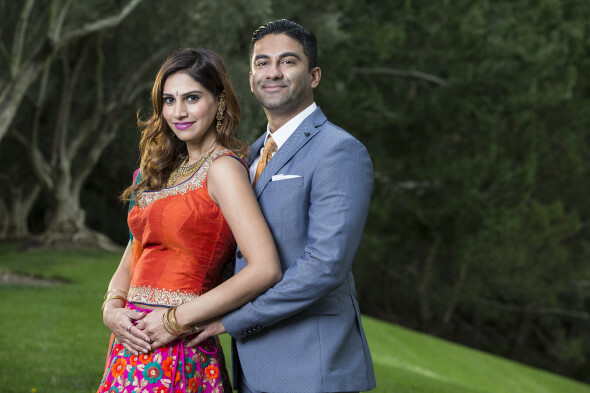 Below, check out the photos and bios, for the three couples featured in Arranged, season two. FYI says, “From a young Jewish modern Orthodox couple in New York City, to a southern couple from Texas, to a couple raised by traditional East Indian parents living in California – each have a unique journey to marriage.” Arranged is produced for FYI by Moxie Pictures. Dan Levinson and Sven Nilsson are executive producers for Moxie Pictures. Gena McCarthy, Toby Faulkner and Lauren Wohl serve as executive producers for FYI. Until David’s brother got involved, Taylor and David had both gone to the same high school, he played football and she was a cheerleader, but they were never romantically involved. David’s brother Jordan has been best friends with Taylor for years and he knew his brother would be the perfect match for her. After both Taylor and David’s serious relationships with other people ended horribly, Jordan knew it was time to interject and get these two together. After months of communicating only online, a long-distance relationship blossomed between the two while Taylor was working in Hawaii based on their shared faith and Texas upbringing. Once Taylor moved back to Texas, the couple was arranged. However, their fairytale romance hasn’t been easy – David’s mother strongly disapproves of Taylor and has been on a mission to break them up. As their wedding approaches, David has had to choose between the two most important women in his life; his mother and the woman he plans to marry. Despite major roadblocks, David and Taylor hope to prove that they are each other’s one true love. 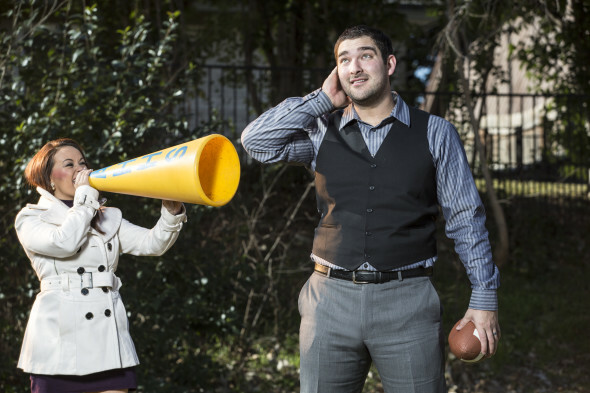 Ben and Vicki from FYI’s “Arranged.” Photo by Karolina Wojtasik. Copyright 2016. Vicki and Ben from FYI’s “Arranged.” Photo by Karolina Wojtasik. Copyright 2016. Vicki and Ben grew up in Seattle and went to the same middle school. They knew each other, but never pursued a relationship. 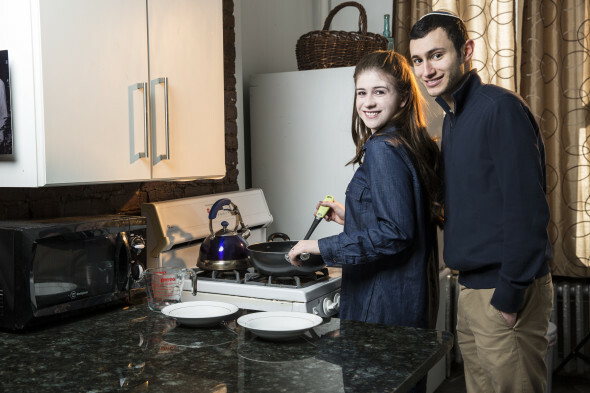 After high school, both took trips on their own to Israel where they were drawn to an Orthodox lifestyle. As fate would have it, Vicki and Ben each moved to New York City for college and they wound up reconnecting at a charity event. 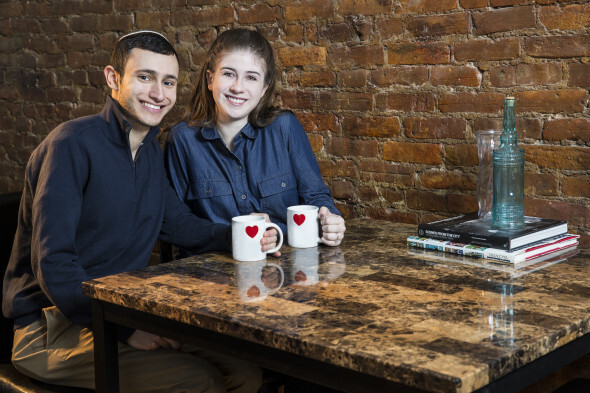 They were initially drawn to each other because of their shared cultural understanding of Orthodox Judaism and after the approval of their parents; they began dating. In the Orthodox community, people don’t date unless they are beginning the process of getting married. After a few short dates, Ben and Vicki were arranged. Their families are thrilled that both are marrying within the faith, however their parents have expressed concerns about the suddenness of the arrangement and have some doubts as to whether or not they are ready for such a serious commitment. Adhering to Orthodox traditions, they are not permitted to touch, kiss or be alone prior to getting married. Mayur and Maneka from FYI’s “Arranged.” Photo by Karolina Wojtasik. Copyright 2016. Maneka and Mayur from FYI’s “Arranged.” Photo by Karolina Wojtasik. Copyright 2016. Coming from a very traditional Indian family, Maneka knew from a young age that her parents would help choose her husband. However, when she was 22 years old she went against tradition and married for love. Her first marriage ended in a bitter divorce after just four years. At age 31, Maneka felt pressure from her family to get married and start a family, which prompted a career change in hopes of meeting more eligible men. While working in real estate she met Mayur, and after only a month of knowing her he sought approval from Maneka’s parents for them to be arranged. Maneka’s parents approved of him and this time she will be following tradition in an arranged marriage. The pair are planning an over the top Indian, Cirque du Soleil themed wedding, and are anxious to get married because Maneka still lives at home with her large family. Get more information from this FYI press release. NEW YORK, NY – April 5, 2016 – FYI’s hit series “Arranged,” which follows modern American singles whose cultural traditions include an arranged marriage, returns with three new couples for a second season. Eleven hour-long episodes are set to premiere beginning Tuesday, May 10 at 9pm ET/PT. In season two, viewers will follow three couples from different backgrounds that have one thing in common – the belief in arranged marriages. From a young Jewish modern Orthodox couple in New York City, to a southern couple from Texas, to a couple raised by traditional East Indian parents living in California – each have a unique journey to marriage. Viewers will see the couples get to know one another from the lead-up to their weddings, through the joys and challenges of married life seen through the lens of their very different families and cultures. Meddling mother-in laws, money concerns, the struggle of adjusting to new lifestyles and starting a family will add even more stress to an already overwhelming situation. With immense pressure from their families and communities to make the marriages work, the arranged couples must learn to overcome relationship hurdles to succeed. “Arranged” is produced for FYI by Moxie Pictures. Dan Levinson and Sven Nilsson are executive producers for Moxie Pictures. Gena McCarthy, Toby Faulkner and Lauren Wohl serve as executive producers for FYI. Are you a fan of the Arranged TV show? Do you plan to watch the second season? Do you know know any couples in arranged marriages? Let us know, below. More about: Arranged, Arranged: canceled or renewed?, FYI TV shows: canceled or renewed? Are we going to see the end of season 2. It ended so sudden. What happened to season 2? Has it been cancelled? Only 11 episodes? I agreed with mostly everything you said except Vicky…Ben is so immature and bossy…he makes all these religious demands or reminders but acts lile a child in the kitchen when she was trying to take care of business…..even neforw their marriage when asked what he would so foe a living I was surprised he cpuld not answer this as if he suddenly wasn’t so opinionated! No vicky is fine…she just should relax about spending money so much…clearly her husband doesn’t have it..Ben strikes me as someone who controls his wife’s finances but will spend on his on whims. I was such a fan of the season 1 cast that I was excited for season 2 cast but, I have to say after investing myself into 6 episodes, I am not empressed. Mayur and Maneka are super annoying. She’s so clingy and desperate… total opposite of Regina ( who is full of personality) and Mayur is class A Yuppie he’s so bland. 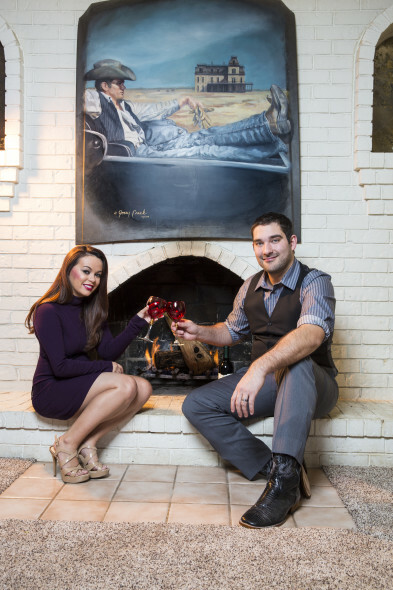 Veeral had a great demeanor and they were an interesting couple to watch grow. Pleas see bring back season one cast. I want to know what’s going on with Christian and Maria!!! !